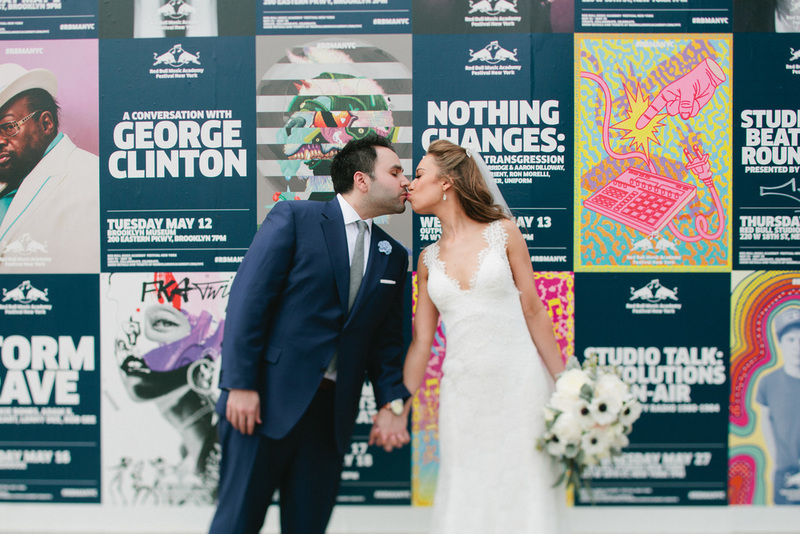 This feature of Rebecca and Dov's wedding at the Green Building originally appeared on Style Me Pretty. Throwing a food truck wedding seems like the kind of event a couple would set out to deliberately host. You know – the kind of idea that had been brewing for some time, with photos pinned to a secret Pinterest board and specific food trucks already on deck. 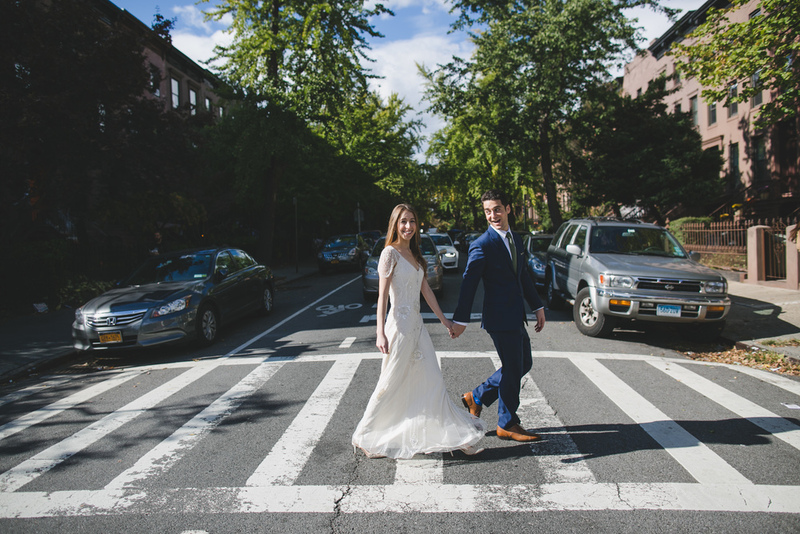 But for Dov and me, the idea was a solution – a really delicious one – to the planning problems many couples typically face. 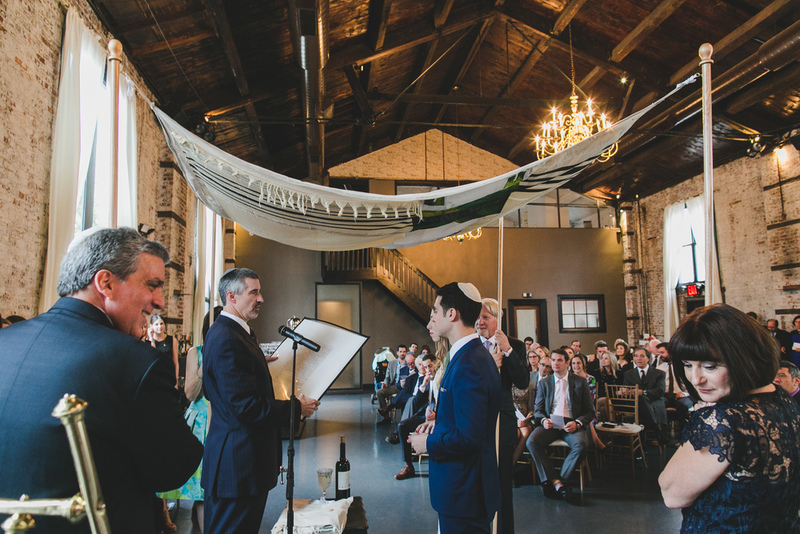 When Dov and I sat down to plan, we considered food, alcohol and music the holy trinity of our reception – the trifecta that truly makes for a great party. We also learned within a hot second that these were among the most expensive elements of any wedding. 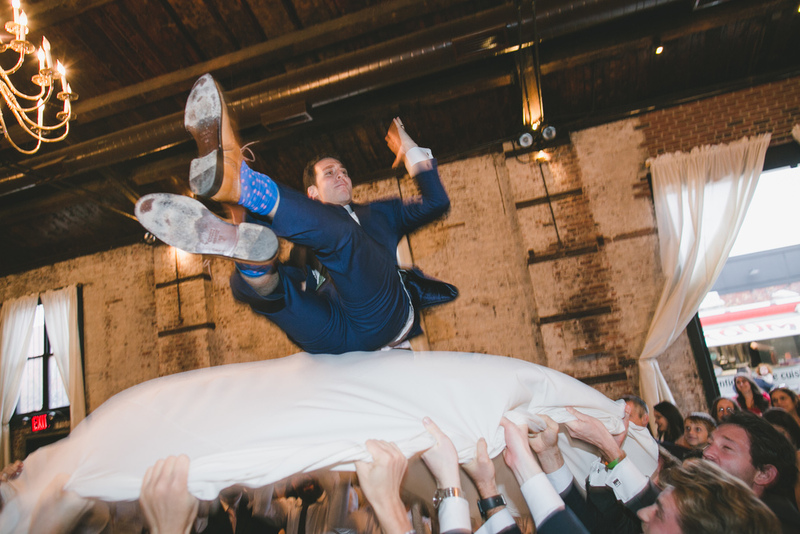 So to keep our guest list at 200 people, we made some decisions early on: we would search for a venue where we could stock our own bar, we wouldn’t use a traditional caterer and we would find the most fun DJ NYC could offer. We also had some stylistic preferences of our own. 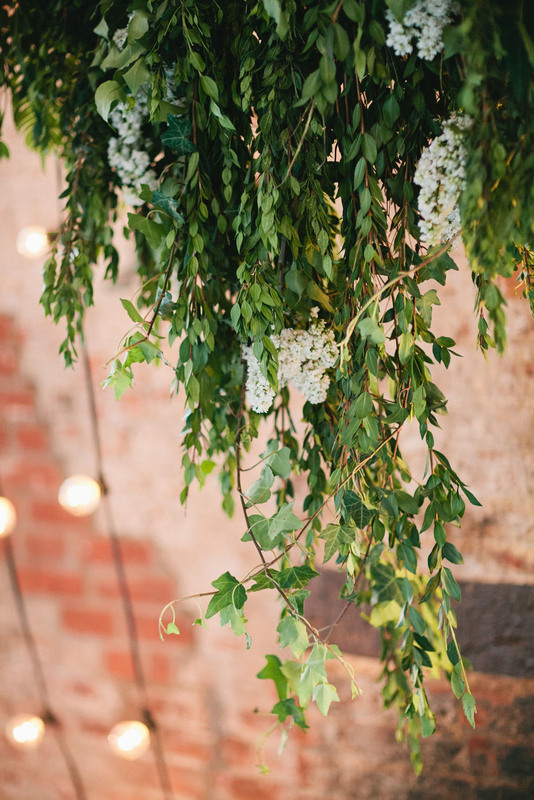 We wanted a wedding that was simple and informal. 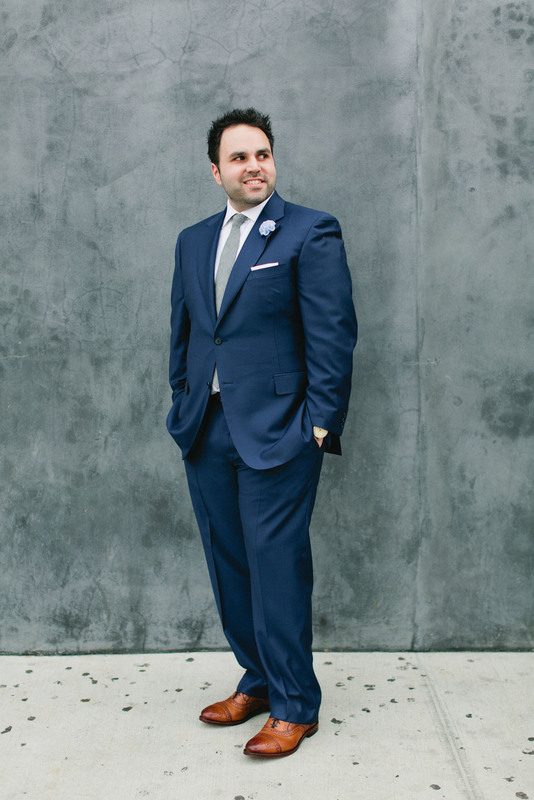 Dov grew up in Los Angeles, so we wanted our wedding to incorporate some of that casual elegance native to California. 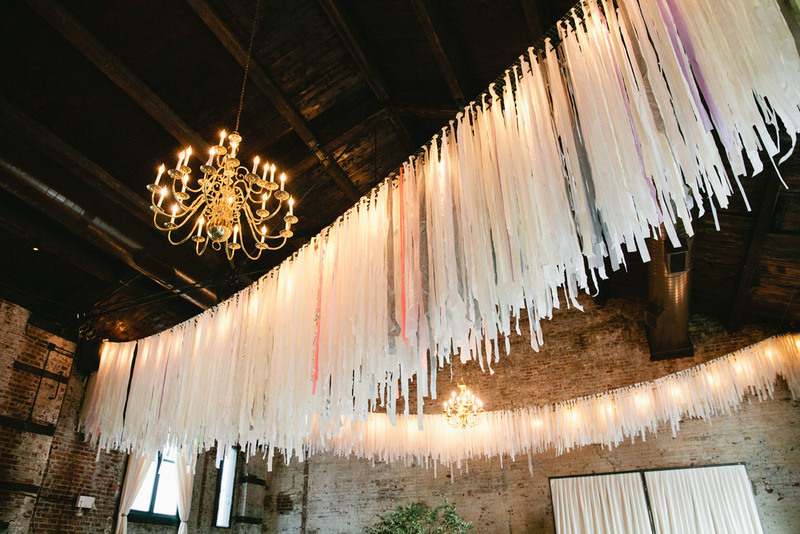 As a lifestyle editor who grew up in New York, I’ve seen just how elaborate and stunning weddings can become. But that level of grandeur just isn’t me (I skipped the veil and ditched the bouquet), and it certainly isn’t us. It was challenging to find vendors that had similarly restrained approaches, and it wasn’t until we decided to work with food trucks that we found some awesome collaborators. Dov and I opted for a cocktail-style reception so guests would be up and about. 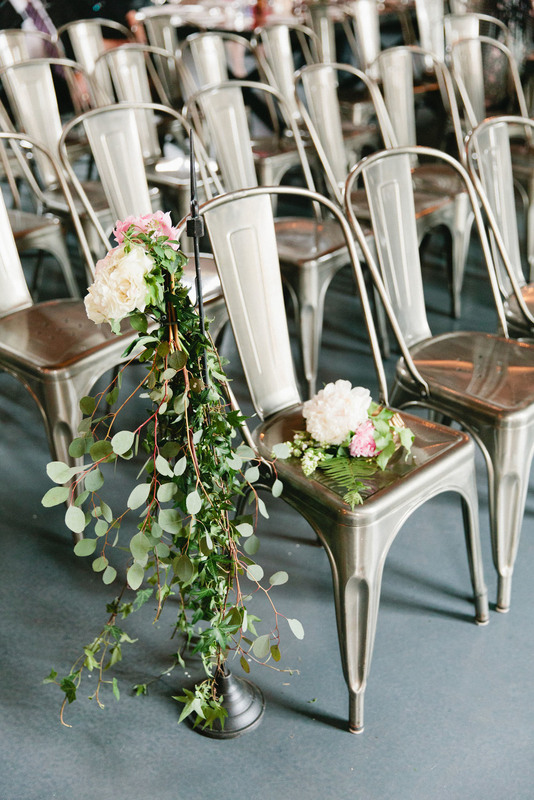 We looked into some loft spaces but preferred a venue that shined on its own and only needed a few subtle, seasonal details. 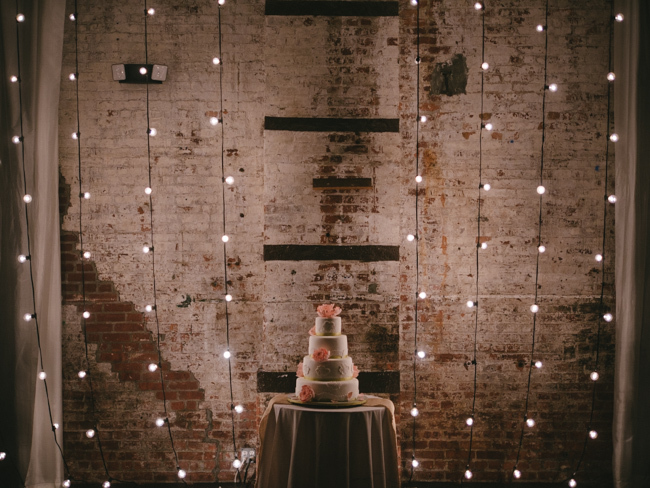 We came across a former foundry called The Green Building on a quiet street in Brooklyn and fell in love with its exposed brick, vintage charm and sky-high ceilings. Since we weren’t using a traditional caterer, we had more freedom to serve the kind of food people love to eat – like grilled cheese, fish tacos and falafel. We thought about using some local Brooklyn restaurants to cater the food, but we wanted such a variety of options that no one restaurant made sense. 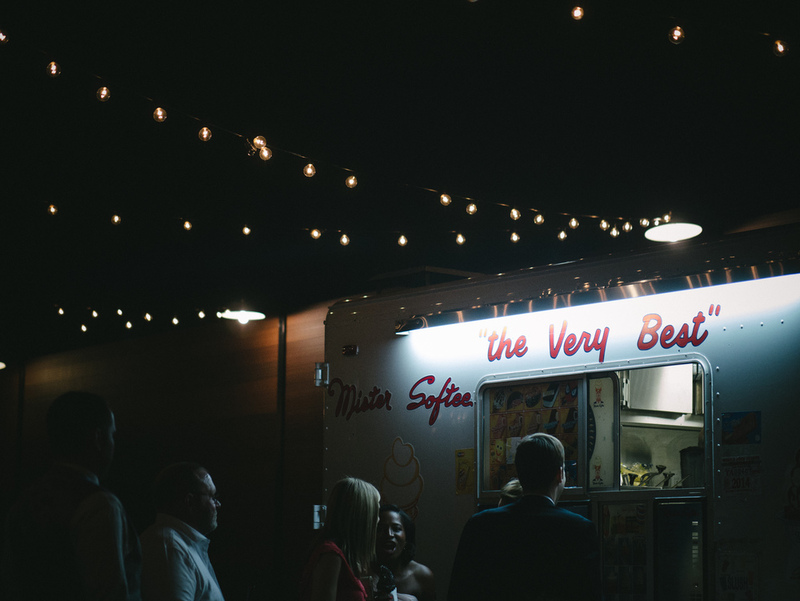 We initially came across the concept of food trucks as something couples used as an extra element, like for dessert or as a late-night snack. 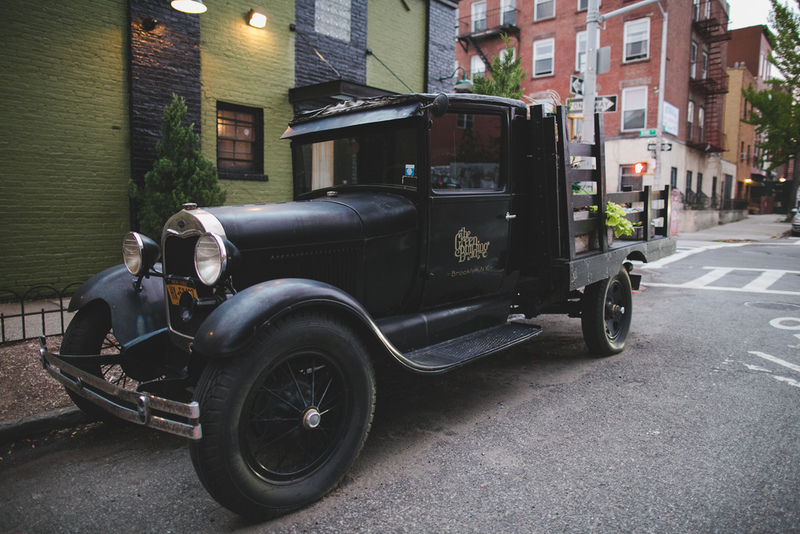 But food trucks were our answer for the whole reception, allowing us to serve the kind of food we love to eat and cutting our food and alcohol budget by more than 60 percent. 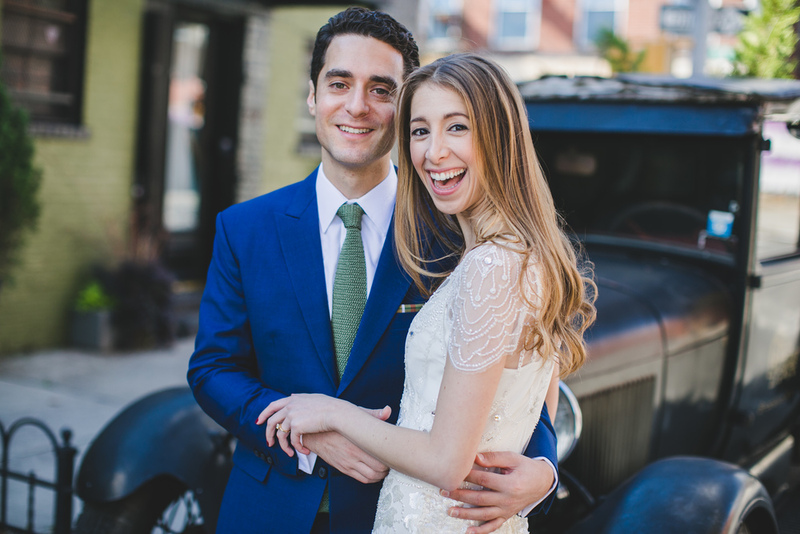 We included a card in our wedding invitation informing guests that the reception would be “A Moveable Feast, featuring vegetarian fare from our favorite New York City food trucks.” We hired trucks that served four different types of grilled cheese and handmade sodas, Middle-Eastern cuisine, roasted local vegetables, fish tacos and customizable chipwiches for dessert. To top it all off, my mom made the wedding cake and additional pies, while the groom’s mom individually wrapped dozens of her homemade peanut butter chocolate chip cookies. And as a final detail, we served coffee and tea in to-go Anthora cups, as a final nod to New York City and the casual dining we love. 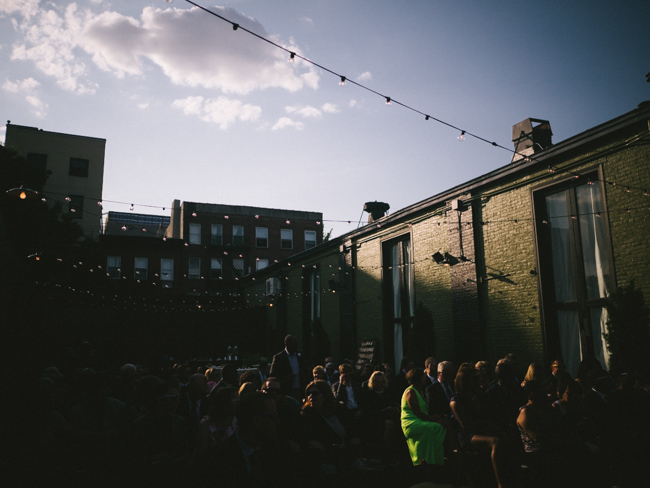 The trucks were placed in the patio area of the venue, as well as on the street right outside. 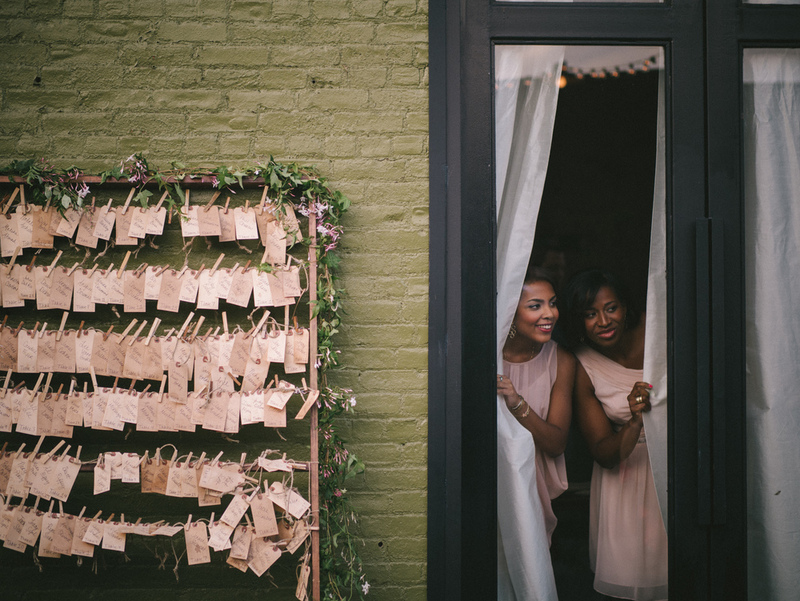 Guests were able to move from the patio to the reception room, and out to the street with ease. For the bar, we chose our favorite top-shelf liquor combined with delicious wine, champagne and the craft beers we love. We set up a self-serve “craft beer garden” in the patio, so guests could help themselves to nine different types of beer — which included some local brews, ciders and seasonal ales — throughout the night. 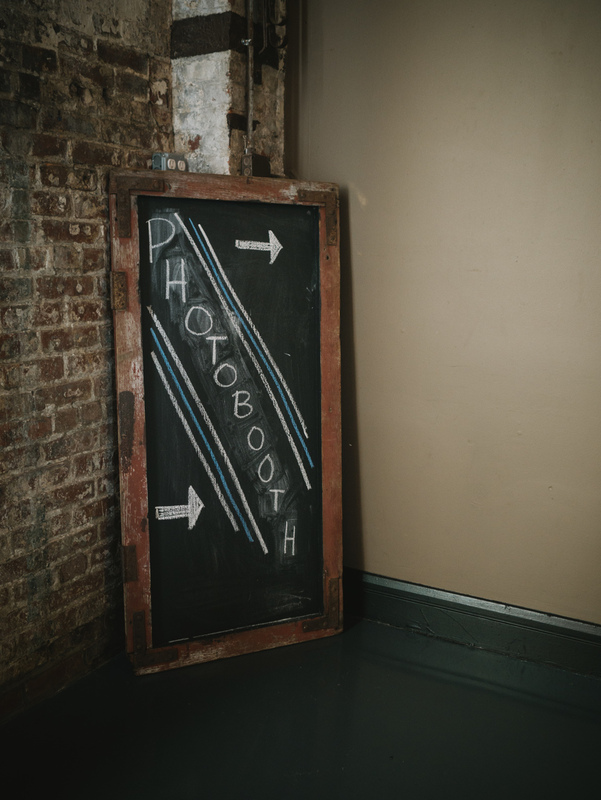 And when it came to music, our friend Allyson Levine at Bob Gail Special Events recommended DJ James Mulry, who spins at the Wythe Hotel, for some great tunes. James was especially awesome on the big day – somehow incorporating my love for jazz and old standards with music that people actually want to get up and dance to. He also kept our wedding – both the ceremony and the reception – on schedule. Planning a food truck wedding for 200 people was certainly a logistical nightmare at times – you basically quadruple the amount of vendors you’re dealing with, and how is one supposed to know how many fish tacos to order vs. falafels vs. pounds of roasted bokchoy?! 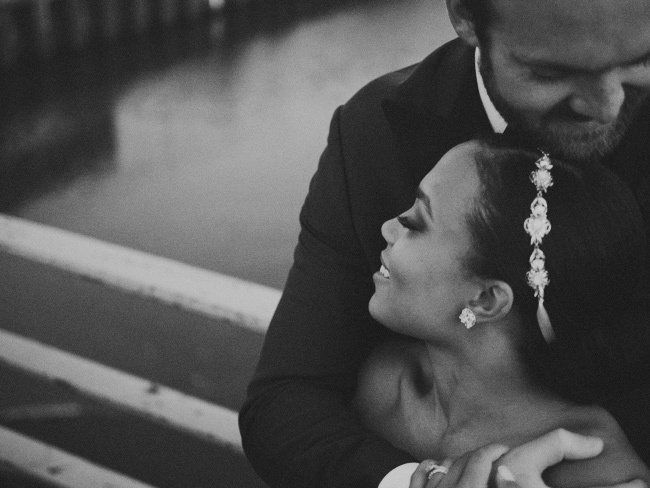 But it’s pretty amazing to know that we designed every single element of our wedding ourselves, which seemed like the right way to kick off sharing a life together. We met in Raleigh, North Carolina in 2009 at a yearlong work training program. For the first half of the program, we were simply acquaintances. As time moved on, Travis began hanging out around my cubical attempting to have casual conversation. His casual conversation usually consisted of making up funny nicknames for me - the most popular was "Mac N' Cheese." For the longest time, I thought Travis was from Texas because of thetwang in his voice. As time progressed, it was clear that Travis had a slight crush. In my usual awkward way, I pretended to ignore Travis' hints that he wanted to get to know me better. My darling friend Laura kept telling me to try and get to know Travis a little more, proclaiming, "He is such a nice guy. Give him a chance." But I was far too stubborn to give the guy from Texas a shot. One evening after a night out partying, we were in a taxi going home. The conversation suddenly turned toward the topic of breakfast and my friend said that she was in the mood for waffles. Travis jumped up and said, "Why don't you guys come over for brunch tomorrow? My roommate and I have all of this food, and we would love to make brunch for you." Of course this was a lie. Travis did not have any food in the bachelor pad, nor did he have any materials to cook with if he had some. Early the next morning, Travis set his alarm for 6 AM and ran to the store to buy EVERYTHING. When I found out about his journey to try to impress me and cook for me, I was suddenly beginning to crush on him too. We dated, fell in love and became best friends. We met each other's friends and families who we now love as much as our own. We've had great times and bad times and many times in between, but through it all we've had each other. 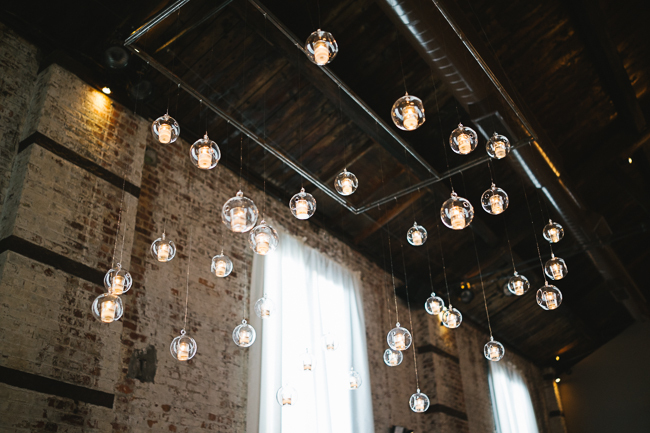 Reva and Anson's summer wedding at the Green Building in Brooklyn, New York. 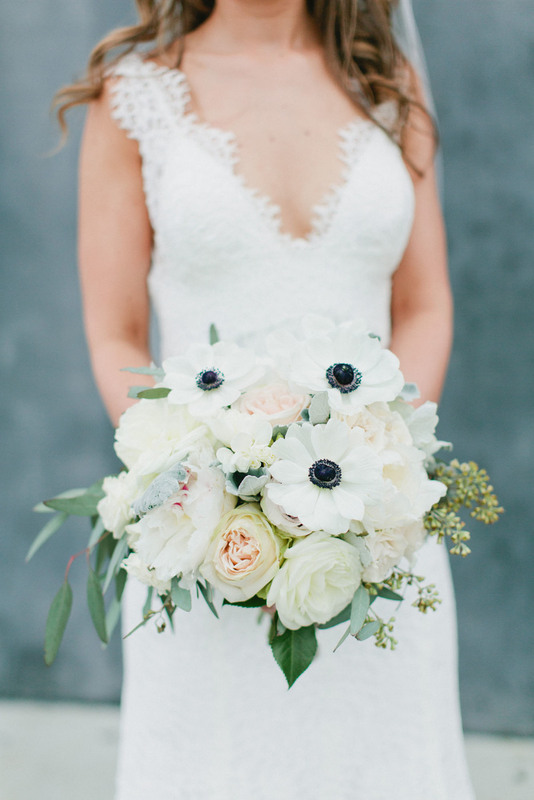 Featured on A Practical Wedding. 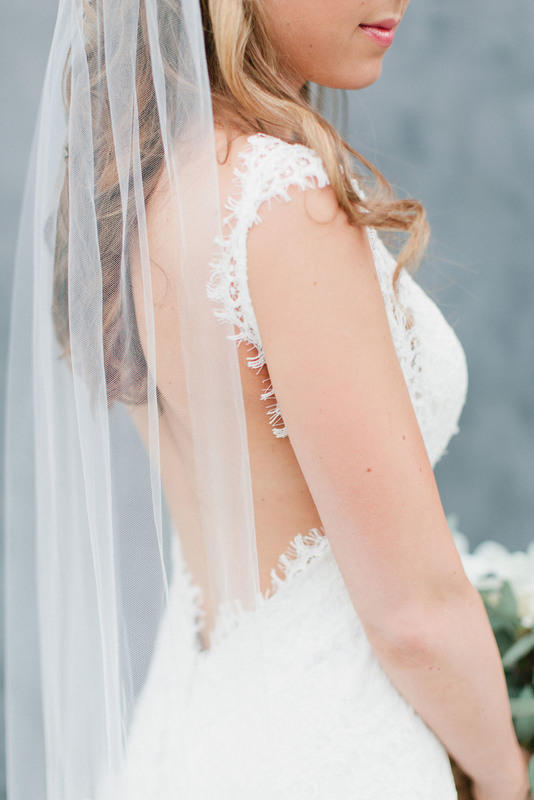 Photographed by Amber Gress Photography. 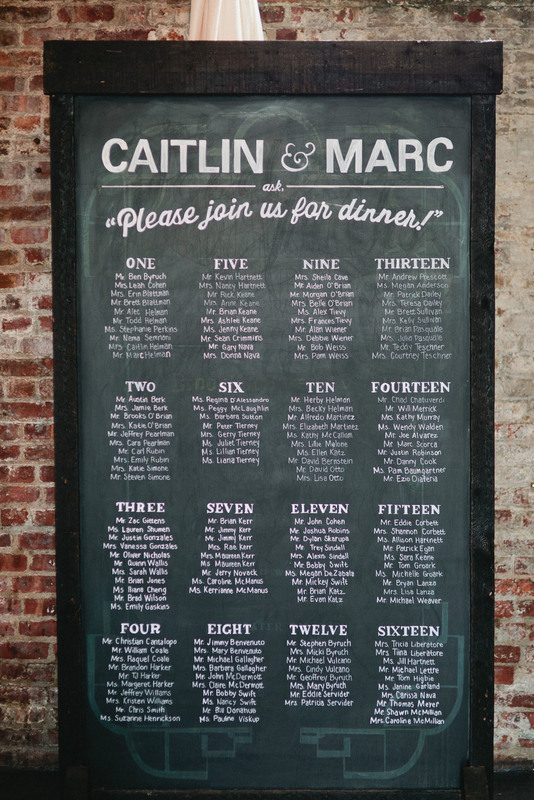 This feature of Caitlin and Marc's wedding at the Green Building originally appeared on Style Me Pretty. I grew up in New York and Marc grew up in the DC area. 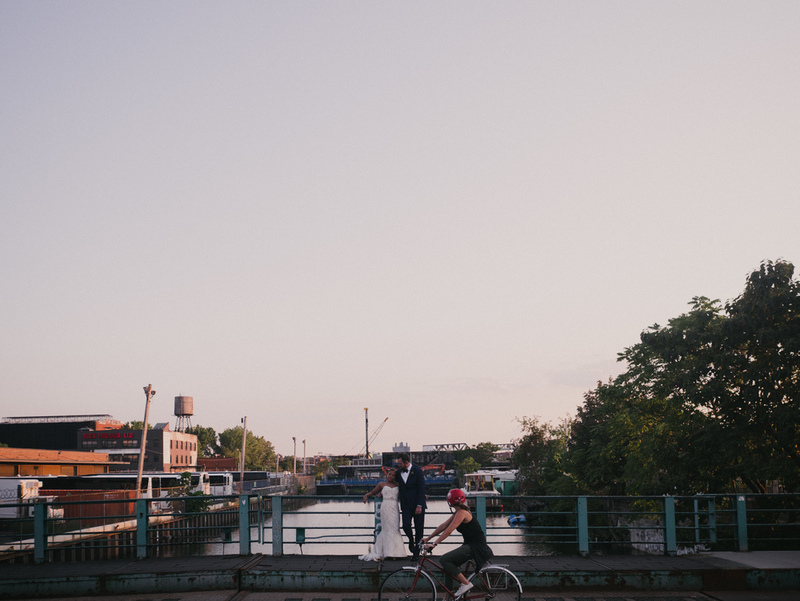 We have lived in Brooklyn for several years now, and really wanted to get married “in our backyard.” Roughly half of the guests would have to travel for our wedding, regardless of whether it was in DC or Brooklyn, so we decided to keep it local. 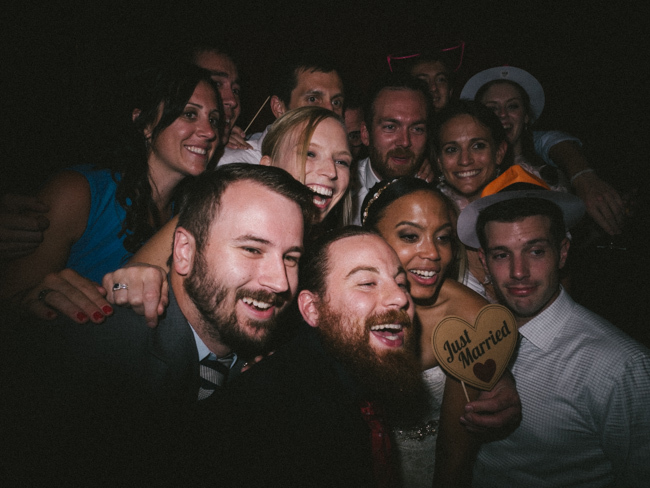 Our focus from the beginning was to make sure the wedding didn’t feel overly stuffy. We didn’t want it to be just another formal affair. 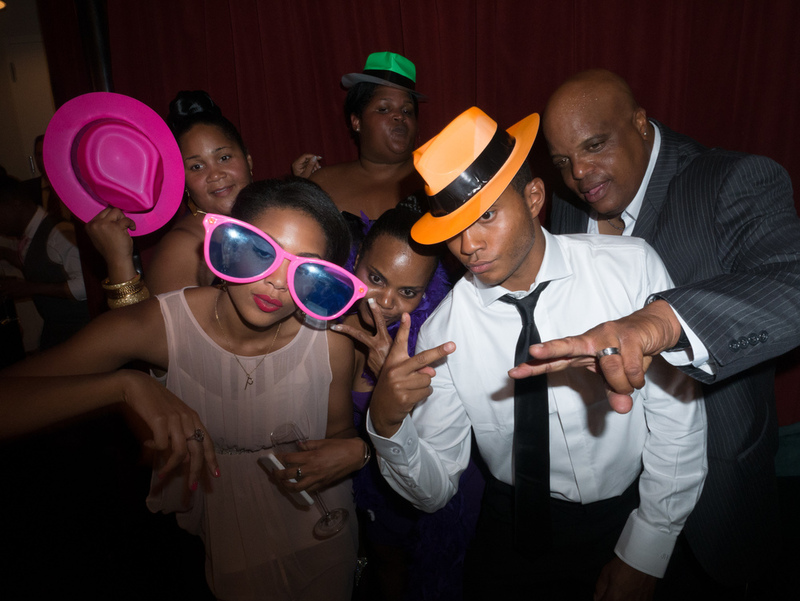 Looking back to other fun weddings we’ve been to, three things remain constant: great food, great music, and great people. So that’s what we focused on! 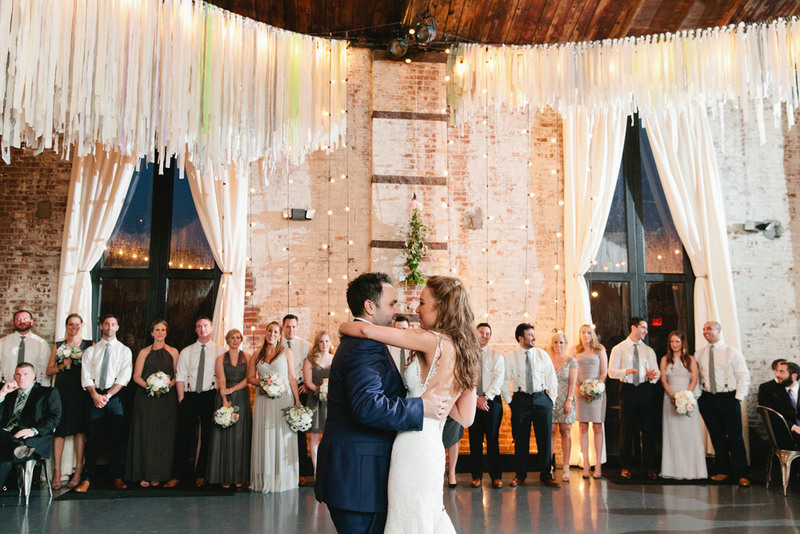 From the moment we walked into the Green Building we knew it was the perfect setting. We loved the vibe and feel of the building, and thought it really exemplified our borough. 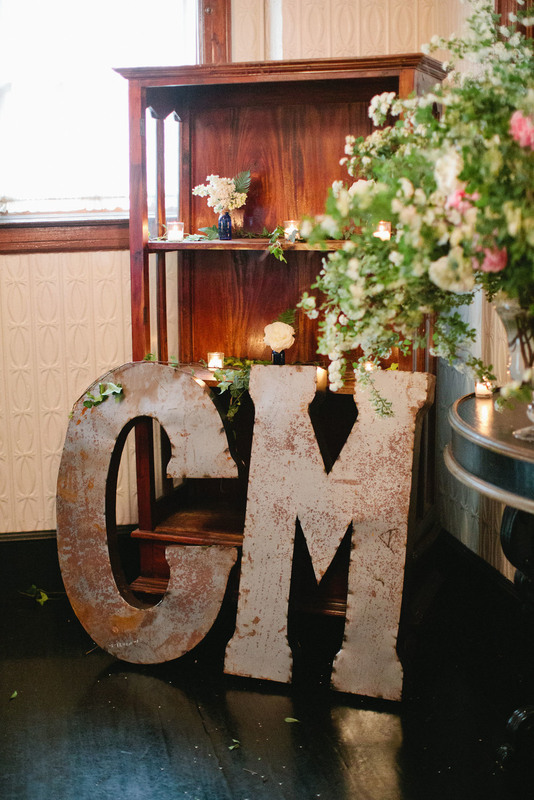 Jove Meyer Events was our wedding planner and he did an unbelievable job of helping us flesh out our vision. Not only did Jove help steer the design of the wedding, but he also coordinated all of the vendors and served as the day-of coordinator too. He was cool, calm, and collected throughout the entire process and we couldn’t have done it without him. 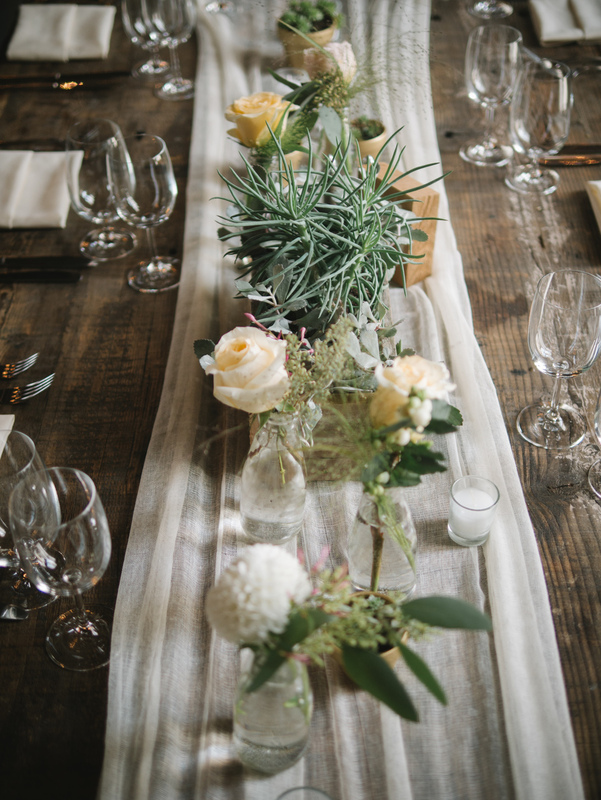 Through Jove we were introduced to Rebecca Shepherd Floral Design and Patina. Rebecca was amazing and so easy to work with! 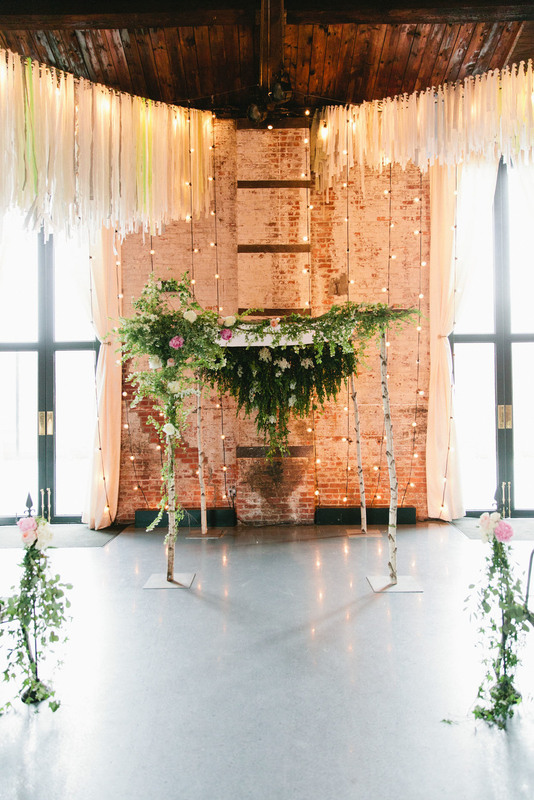 We left much of the decision making up to both Rebecca and Jove, and they worked flawlessly together to create beautiful floral arrangements, tablescapes, the chuppah, and ceremony backdrop. Patina provided the Swag from The Color Condition, which we loved! It really brought a different feel to the room. 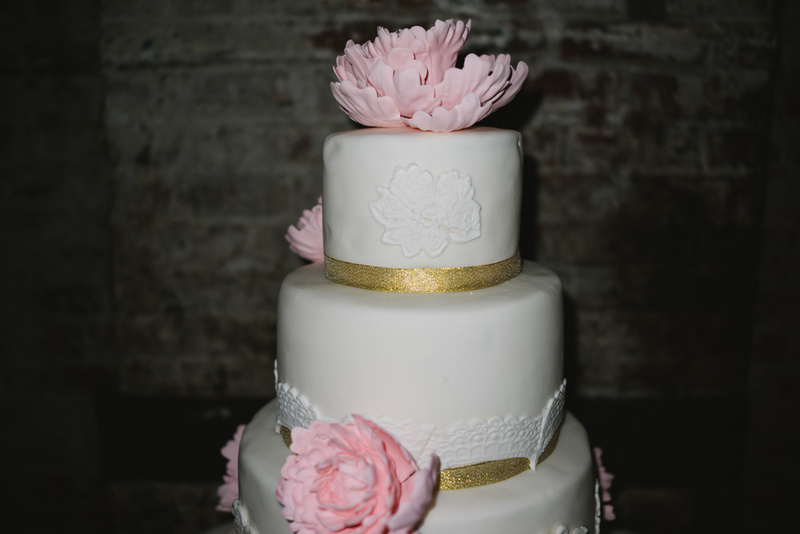 For the food we went with Garces Catering, and this was actually their first NYC wedding. We got rave reviews all night long about the food and cocktail hour, and were so happy with the service we received. 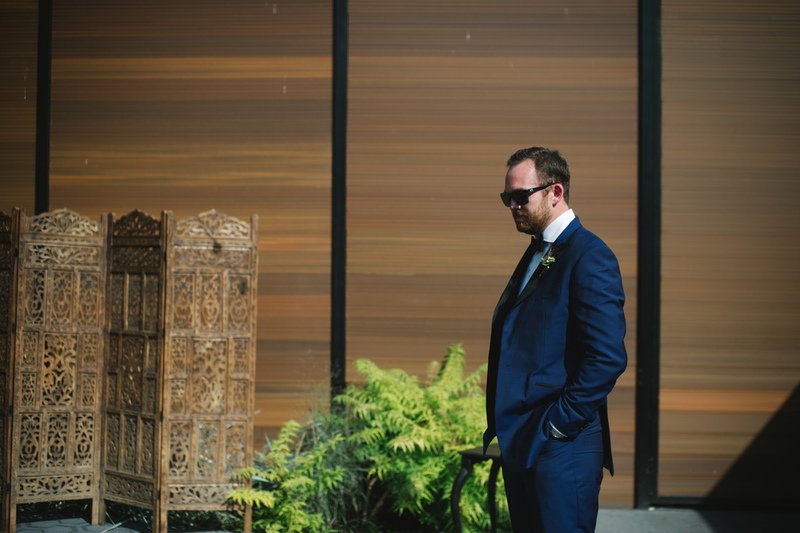 We were fortunate enough to have Sasithon Photography capture the day for us. We actually found her on Style Me Pretty! Sas is a truly remarkable person, both personally and professionally, and the quality of her work is exceptional. 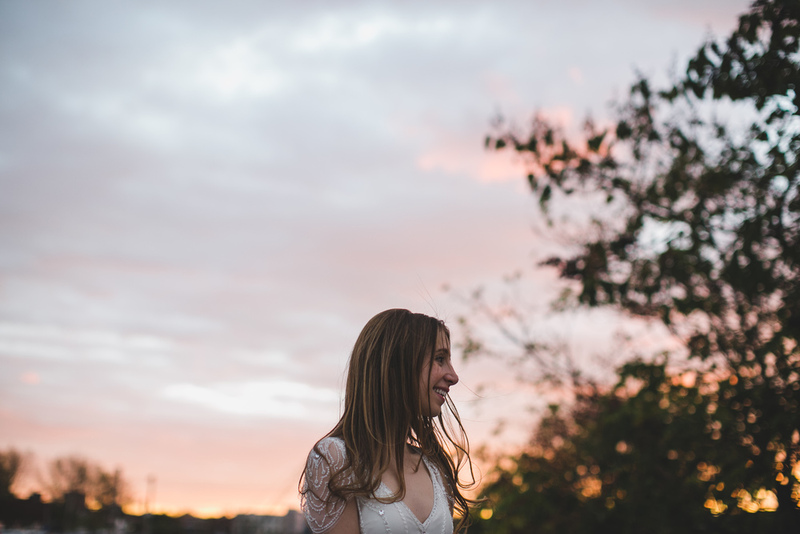 From the moment we met her we immediately clicked, and trusted her to take the creative lead from start to finish. She far exceeded our expectations. 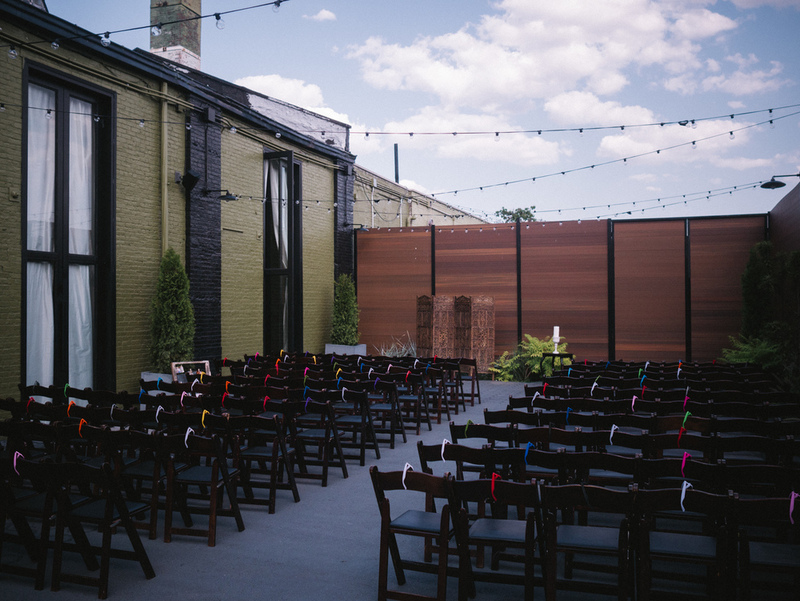 Most of the design elements in the wedding as well as leading up to the wedding were inspired by our neighborhood and the venue. Once we settled on the Green Building, we found an amazing artist, Chase Kettl, to do our wedding invitations. 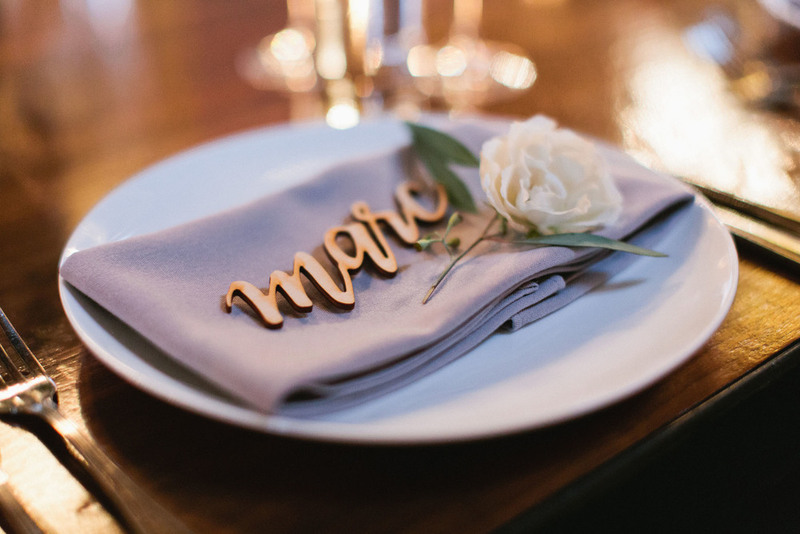 We loved the laser engraved wooden invitations so much that it inspired several other details in the wedding such as the bar menu, table menus, table numbers, and place cards. 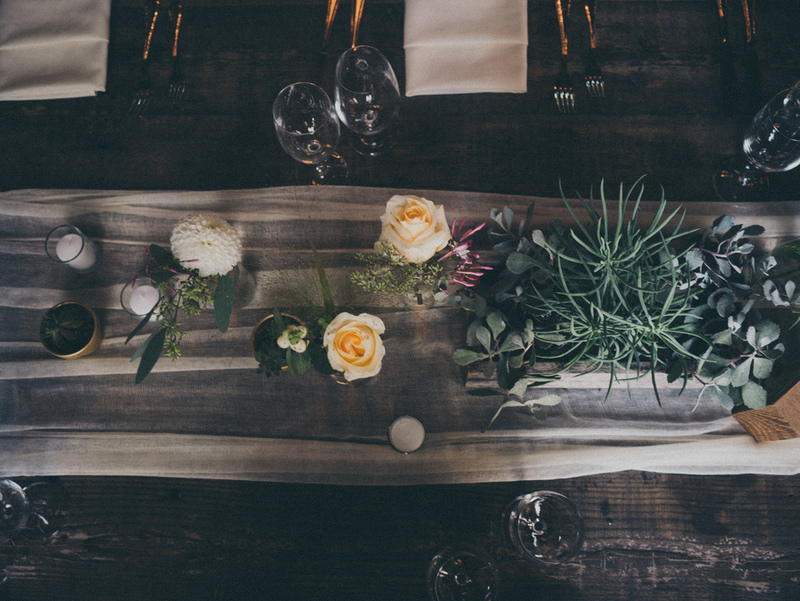 Each individual guests’ first name was carved in wood and served as both the place card as well as the wedding favor. I didn’t want the bridesmaids to have another dress added to the “back of the closet” collection, so I gave them freedom to pick their own dress, so long as it was a shade of grey. To further the fun and casual tone of the wedding, we did away with suit rentals for the groomsmen, and simply provided them with the matching ties and suspenders. Everyone says that something will go wrong on your wedding day and you just need to expect it and roll with the punches. Through the hard work of everyone involved in making our special day a reality, I can truly say that everything went off without a hitch. We couldn’t have been happier with how the evening turned out. One and a half years of planning was over in five and a half hours, and we loved every second of it!